The video, which came out with a bundle of evidence from the Castile trial, captures the interaction between Diamond Reynolds, Castile’s girlfriend, and her daughter as they were held in the back of a squad car shortly after the shooting. In the heart-wrenching video, a handcuffed Reynolds yells “F—!” — and immediately her young daughter begins to cry begging her mother to “please stop cussing and screaming because I don’t want you to get shooted.” The weeping girl then embraces her mother, who tells her to give her a kiss. “I can keep you safe,” says the girl, while wiping away tears from her face. Moments after St. Anthony police officer Jeronimo Yanez fired seven times at Philando Castile, Diamond Reynolds’ 4-year-old daughter repeatedly pleaded with her to be quiet and cooperative so she wouldn’t also be shot. “Mom, please stop cussing and screaming ’cause I don’t want you to get shooted,” the girl told her handcuffed mother in the back of a squad car. 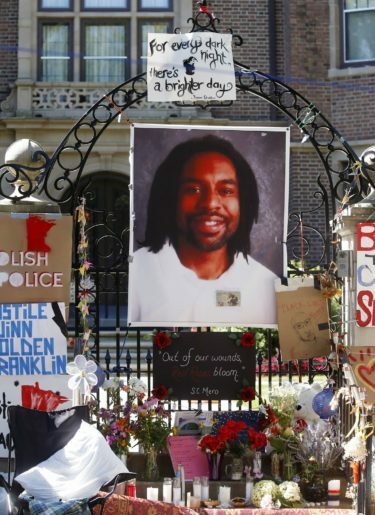 Yanez fatally shot Castile during a traffic stop with both Reynolds and her daughter in the car. “I can keep you safe,” the girl responded. “It’s OK. I got it, OK?” Reynolds whispered before the child began to cry. “I can’t believe they just did that,” Reynolds said.